Win Free Invisalign orthodontic treatment! I’m documenting my daughter’s and my experience with Invisalign clear aligners. I’m a member of the Invisalign Mom Advisory Board, and we’re receiving complimentary treatment as part of the program. If you’ve been following along with my daughter’s and my experience with Invisalign for the last year and are curious about treatment for your family, I have great news: Invisalign is awarding five Smile Grants for FREE treatment. “It Starts with a Smile” aims to share stories of real-life patients whose new smiles gave them the confidence to change their lives in a big way. I can tell you that my daughter’s confidence between 6th and 7th grade has soared…and I know that part of it is how comfortable she feels with Invisalign (most people don’t even realize she’s wearing aligners). 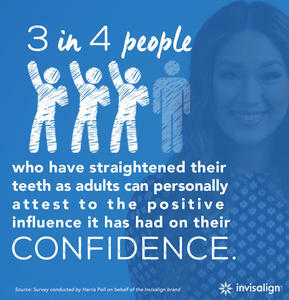 What would you or your child accomplish with a confident smile? Through August 14, 2016, go to invisalign.com/smilegrants and share a photo + your story for a chance to win one of five Invisalign Smile Grants for a free Invisalign treatment. Free! CLICK HERE to enter to win. 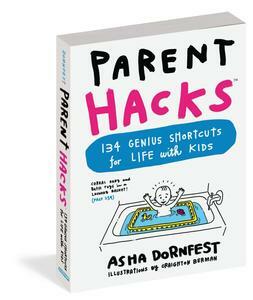 The last time I posted an Invisalign giveaway, a Parent Hacks reader won! Just sayin’. Don’t miss your chance. ENTER NOW! This post is sponsored by Invisalign.